Get $400 off your rent! 5/10/19 Move In. Welcome home to Cambridge House Apartments in Davis, CA. Just a bicycle ride away from downtown Davis, Cambridge House Apartments offers all of the amenities one could imagine to enjoy a comfortable, resort-style community that you get to call home. 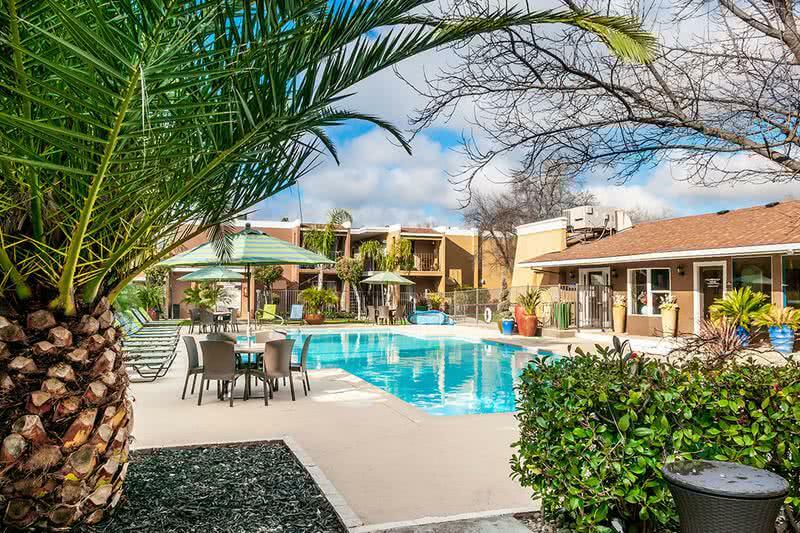 Our community is very well located near the University of California Davis campus and within walking distance to great shopping and dining! You are going to absolutely love our pet-friendly community. 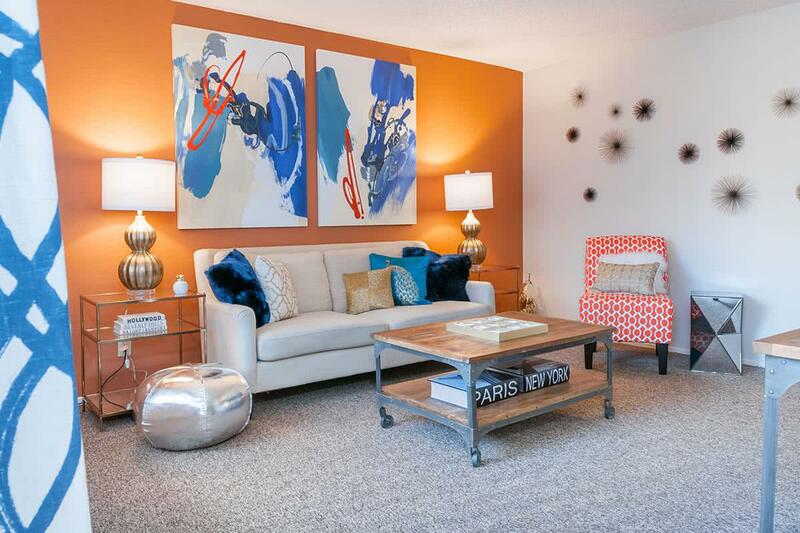 We offer beautiful and spacious one bedroom, two bedroom and three bedroom apartments for rent in Davis, California. Enjoy all of the comforts of home when you rent a Davis apartment in Cambridge House. 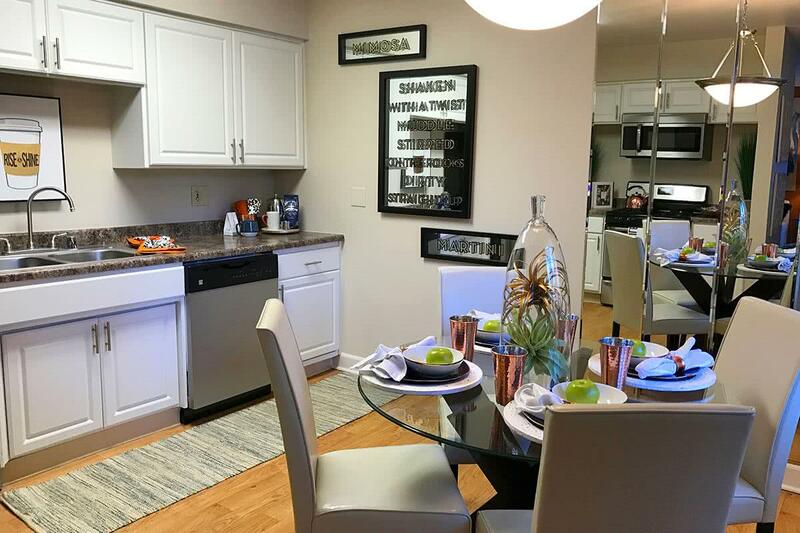 With a private patio or balcony, spacious dine-in kitchens, double vanities and much more, you'll be glad you chose our community! 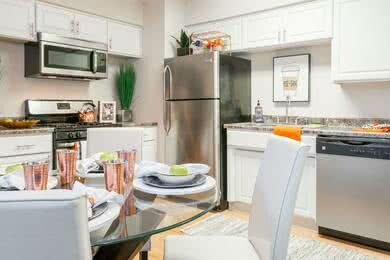 Entertain your friends in your large dine-in kitchen with enough space to entertain parties of ten comfortably. 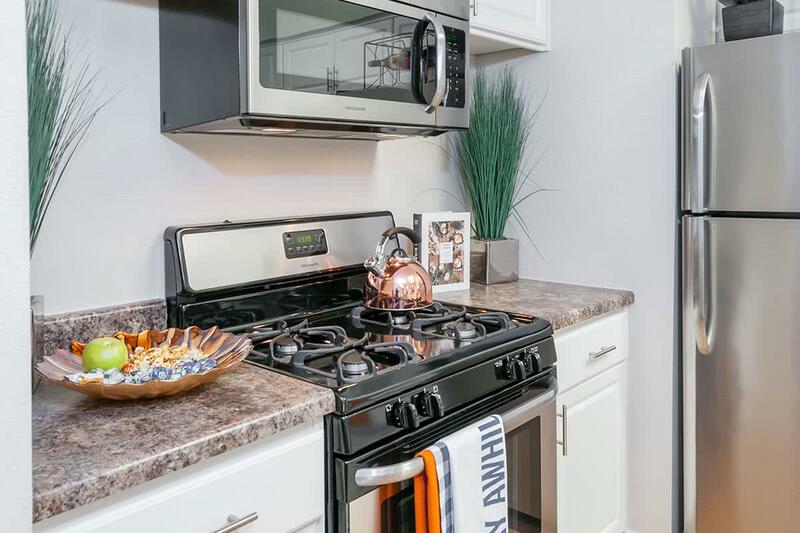 Our kitchens are newly remodeled featuring updated cabinets and countertops and full-size dishwashers. 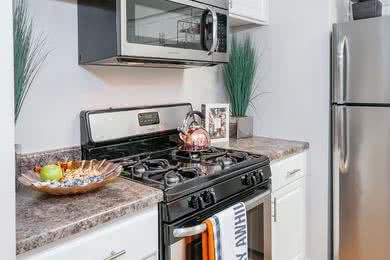 We also offer stainless steel appliances, WiFi enabled Nest thermostats and Kwikset Kevo smart locks so that you can change the temperature or lock your door remotely from your cell phone. Living rooms are large enough to hold a sectional couch and television vanity. 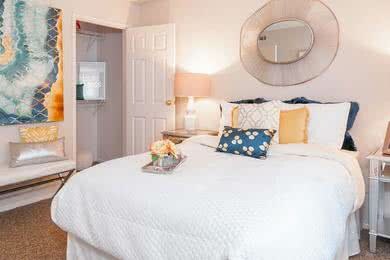 Our Davis apartment bedrooms are big enough to fit a king size bed! Don't forget the available stacked washer and dryers which are available in for your home. We have updated the community with a beautiful paint scheme, designer accents on the interiors and resort style features. Our amenities are the best in town with a 24-hour fitness center, a study lounge and a game room equipped with a big screen TV, pool table, air hockey table, shuffle board table and ping pong. Our resort style pool lounge also has free Wi-Fi and grilling areas for your convenience. All of these amenities make Cambridge House a great UC Davis student housing option! Cambridge House offers pet friendly apartments and we welcome your pets! We allow both cats and dogs with no weight limit, we even keep treats in the office for your furry friend! We have dog walk areas throughout the community and boast our very own, newly constructed, resident only dog park! What more could you ask for? 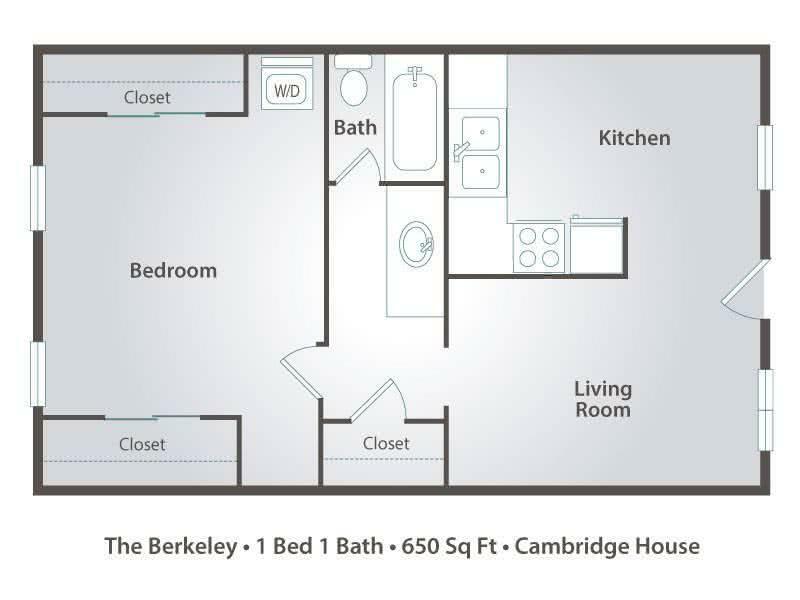 If you are a student at the University of California Davis, Cambridge House provides the perfect solution for you! Our apartments near UC Davis are located just over a mile away from campus on bus lines P, Q, M and A, making our community a great UC Davis student housing choice. You can still enjoy the student life, but avoid all the headaches of living in a dorm.